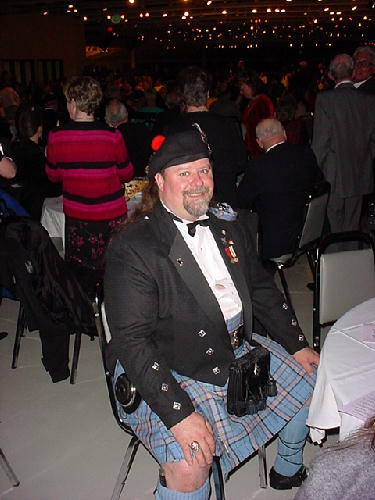 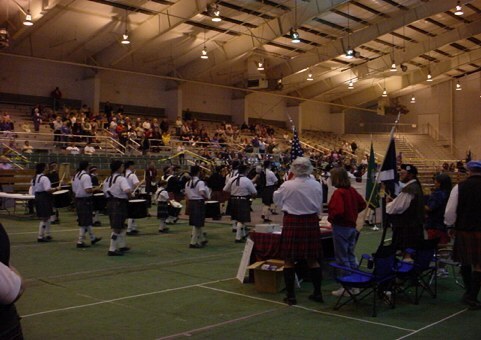 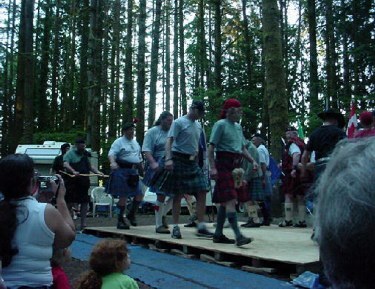 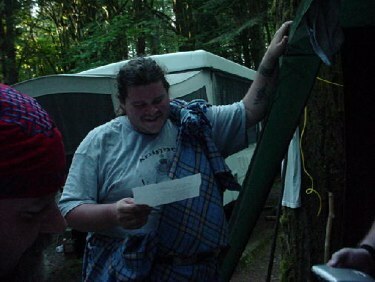 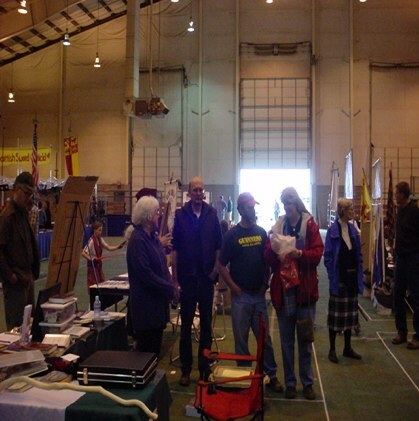 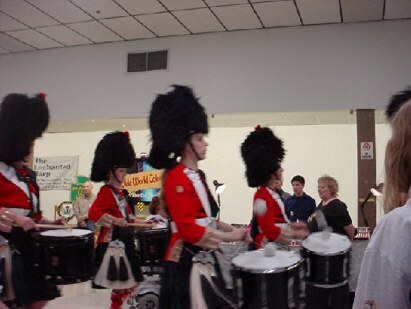 National Tartan Day Apr 6th Puyallup Fairgrounds,Wa Next year it will Apr 5th. 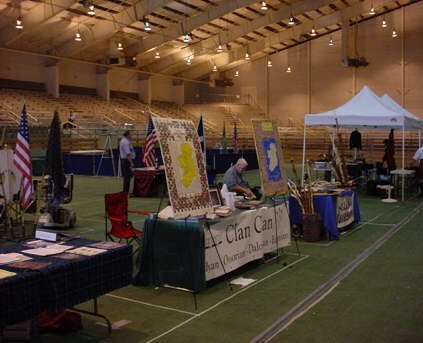 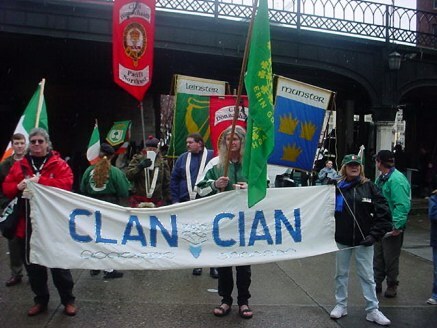 Clan Cian at the First Annual Tri-Cities Games at Pasco,Wa. 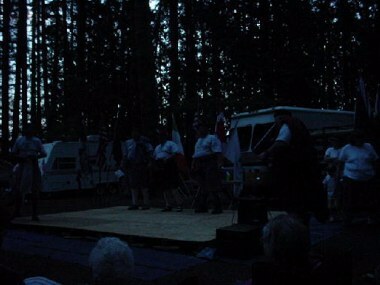 Now I know where Pasco is. 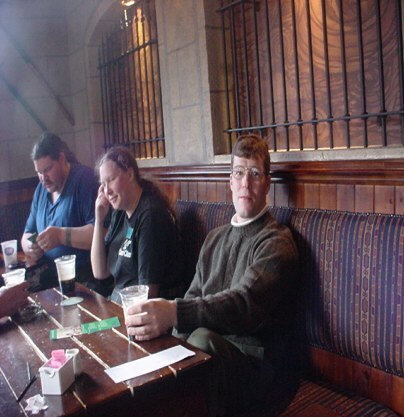 Kathi and Clive with Debbie barely in the picture at Pasco with some husbands who rather find a real beer garden. 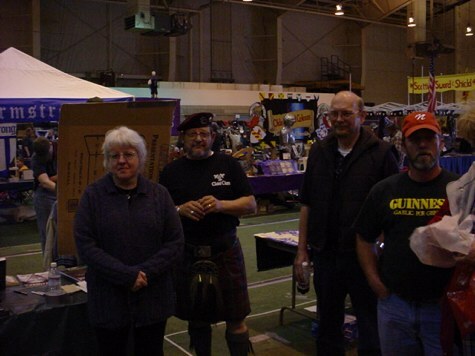 Debbie and Kathi with husbands, Clive is hiding behind Kathi. 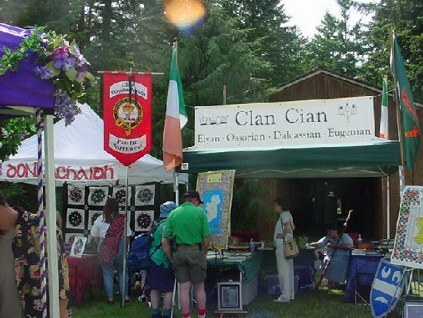 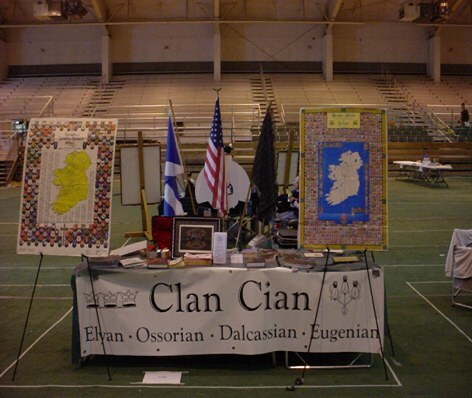 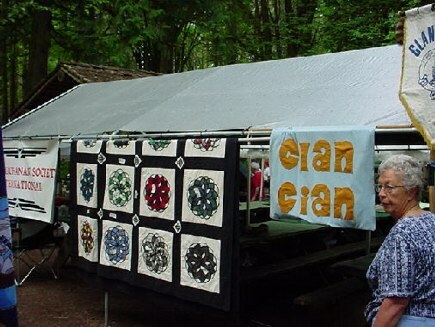 Clan Cian Booth at Pasco Tri-Cities games. 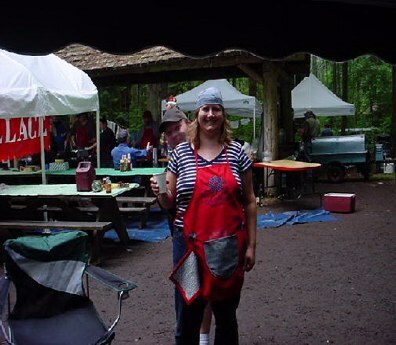 Our own little lass Kristina helping out in the mess hall.